SCD Group: Board time is a nonrenewable resource! Value it! I don’t like being late. And, people who are habitually late irritate me. That includes board chairs who don’t, can’t or won’t start the board (or committee meeting) on time. And, board members who show up late. And, board chairs who don’t keep the meeting moving and/or let it go past adjournment time. The time of our volunteers (and staff) is limited. And, their time should be respected. A farmer from Indiana once shared a secret with me that I’ve used ever since. Set the meeting starting time at an “odd” number such as 8:01 or 7:44 or 12:29. Then be sure to start the meeting at exactly that time. The same goes with adding an ending time to your printed agendas. Again, use an odd time. And, end the meeting when it says. 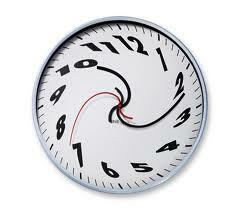 Board members will learn quickly to be on time and use time wisely. Your meetings will be more efficient. Your board members will appreciate that your association values their time.